Zero, starring Shah Rukh Khan, Anushka Sharma and Katrina Kaif, has hit the screens. The Aanand L Rai directorial is the solo Bollywood release this week and is expected to perform well at the ticket counters. 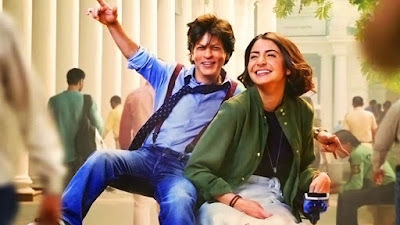 In the movie, Shah Rukh essays the role of a vertically challenged man who falls in love, first, with wheelchair bound Anushka Sharma and then with a popular actress essayed by Katrina. Apart from the three lead actors, Zero also features Zeeshan Ayyub and has special appearances by actors like Abhay Deol, Madhavan, Salman Khan, Sridevi, Alia Bhatt, Karisma Kapoor & others.